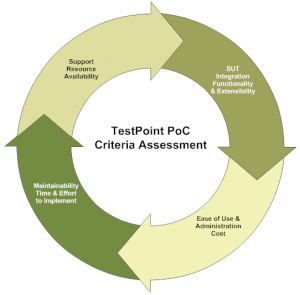 Are you looking for a tool technology solution to manage your entire testing program? We can help you support your development activities! The truth of the matter is there are so many tools available in the market, developed and supported by closed and open source vendors. The tool itself will not solve your problem, rather it is your strategy and approach of using the tool that will define the efficiency and application of your tool adoption. The most important thing to remember is that purchasing or deploying the right tool should be determined by your ‘real need to your problem’ and to support your overall development effort. Some organisations have invested in the wrong tool solutions only to watch it become part of the furniture and impacting on business operations (to name a few). Regardless if hundreds and thousands of dollars were spent or an inexpensive solution was acquired up-front, it will be an expensive exercise if you are trying to make it work (and half-way through your project, there are no clear benefits). This is commonly caused by a number of variables ranging from overwhelming sales pitch, lack of technical expertise, misunderstanding the actual problem and a misguided strategy. Your software development project team may be adopting traditional methods, agile approaches or a combination of both. Regardless of your situation, you are looking for ways to fast-track your testing effort whilst at the same time expect a certain level of quality to satisfy your acceptance criteria. We can help you eliminate this problem and achieve this through our ‘Proof of Concept Engagement’ (PoCE). We only require a minimal timeframe to conduct this exercise in determining the right tool you should be investing in. We provide a recommendation based on our PoCE which consists of comprehensive analysis of your requirements, processes, systems and environment. We don’t just pack up at the end of the PoCE, but we will deliver an action plan supported with a clear strategy to mobilise you to deliver your short and long term development and testing goals. Our expertise and experience will ensure you are investing your resources correctly and focusing your effort in your development and testing requirements to support your overall project and business goals.